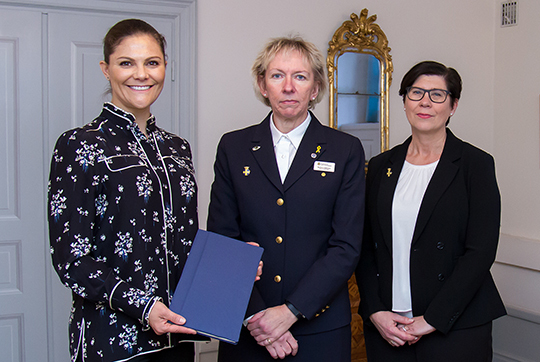 On Tuesday, November 7th- Crown Princess Victoria held an audience with two representatives from her patronage Svenska Lottakåren (The Swedish Women's Voluntary Defence Organization). The organization's Secretary General Heléne Rådemar and National Director Barbro Isaksson gave her update about the organization but also gave her a book as apart of her 40th Birthday Present. That evening, the Crown Princess Couple held a reception at their home, Haga Palace, which a few photos of the night were posted on Social Media. Victoria stayed true to her love of H&M's collaboration with Erdem by wearing a blouse from the collection in the morning and then a floral dress with her Stella McCarthy pumps in the evening. On Wednesday, Crown Princess Victoria visited Gripsholm Palace to unveil a new portrait of herself the Friends of the National Museum (Nationalmusei Vänner) donated to the National Portrait Gallery. The photo was taken by Thorn Ullberg at Haga Park. Crown Princess Victoria revealed that she had not seen the photo before the event (the photo was a 40th Birthday Gift) and she was given a copy of her own. Victoria was in great spirits at the event, as these photos (taken by our favorite Pelle T Nilsson) show. 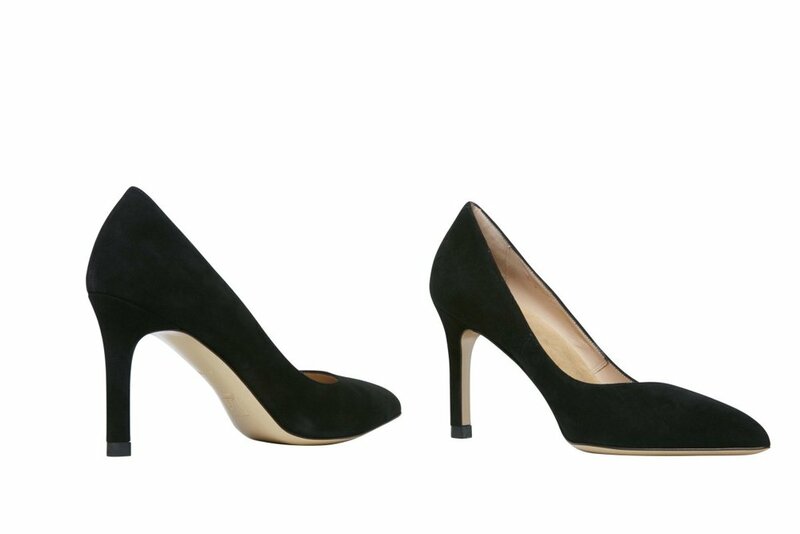 For this event, the Crown Princess wore some of her favorite pieces all in 1 color. 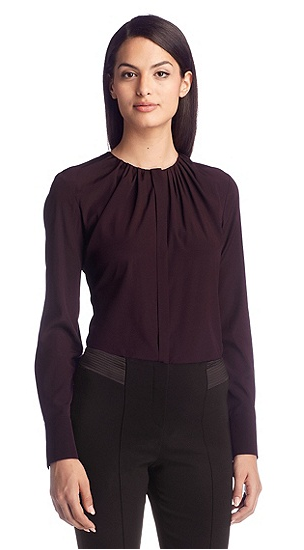 She wore her Hugo Boss blouse with her Greta jacket. 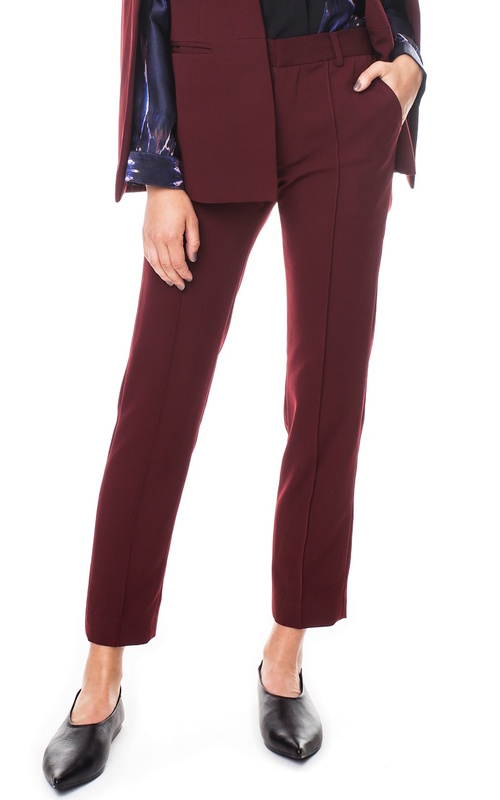 Her trousers are from By Malina and her earrings are from Caroline Svedbom. 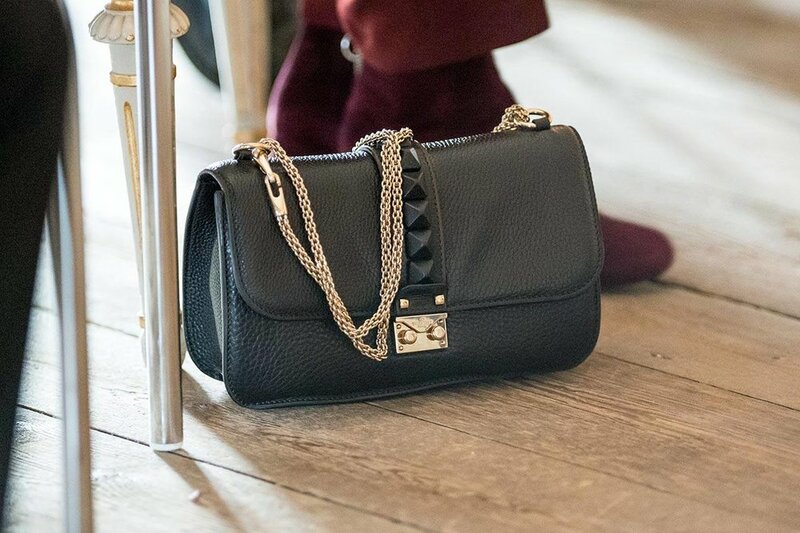 The only thing that was not in this color scheme was her black Valentino Rockstud Bag. Her boots remain UFO with this being the second time she has worn them. Over the weekend, the Queen and the Crown Princess took a mother-daughter trip to see Billy Elliot the Musical in Stockholm. This was a private trip but one of the actors shared a photo from behind the scenes. 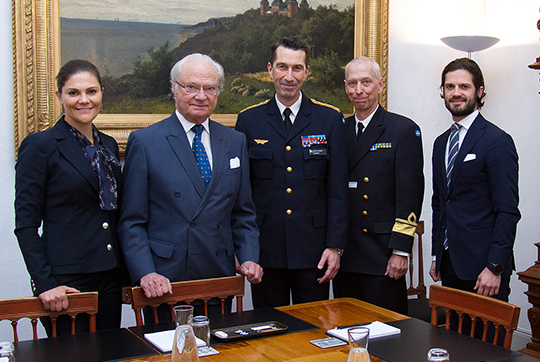 On Tuesday, Crown Princess Victoria and Prince Carl Philip joined the King for a meeting at the Royal Palace with Aurora 17. 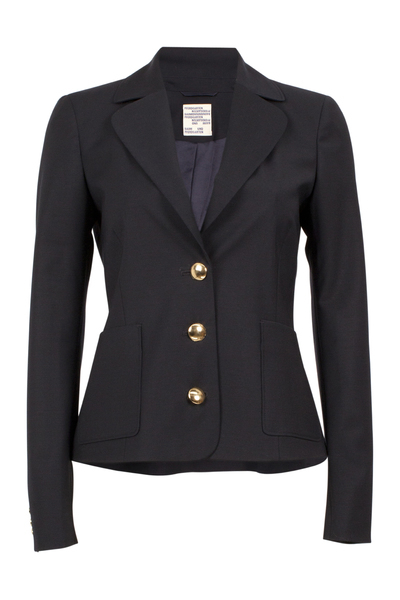 For this meeting, Crown Princess Victoria wore her Baum und Pferdgarten navy blue suit with a blouse from Rodebjer. Later in the evening, the King and Queen were joined by the Crown Princess Couple for a reception for Knut and Alice Wallenberg Foundation's 100 Year Anniversary. For this event, Crown Princess Victoria wore a black high-low gown from H&M, her Tiger of Sweden embellished pumps, and carried a clutch from Alexander McQueen. 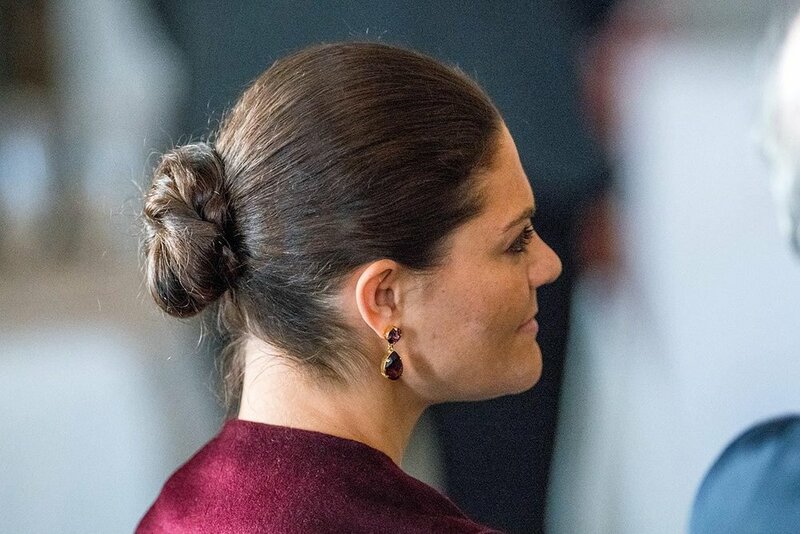 Despite numerous sites reporting that her earrings are from Charlotte Bonde I strongly disagree with that identification and therefor the earrings remain a mystery. On Wednesday, Crown Princess Victoria began her day by meeting with organizers of Stockholm Pride at the Royal Palace. Later in the day she joined her parents and Princess Sofia for the Global Child Forum's Advisory Board meeting. During this meeting, the King, Queen and Crown Princess Victoria all give speeches which you can read in English by clicking on their names above. The Global Child Forum, formally called the World Youth and Child Forum, was a joint initiative started by the King and Queen in 2009. Since then, the entire family has been involved and attended events for the forum, which has now been held all over the world. Princess Sofia's first official oversea's solo trip was actually to the forum held in Pretoria, South Africa. 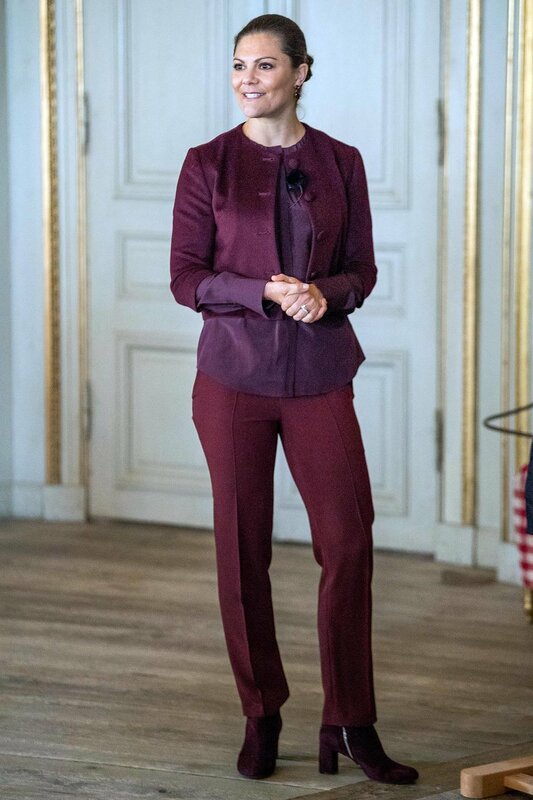 For these meeting, Crown Princess Victoria wore an old dress from By Malene Birger with what appear to be new Heartmade eye pumps. On the table during her speech you could see that she had a new bag which *might* be this bag from H&M- but we won't know until use uses it again- I think she also wore a new necklace but it is too difficult to tell. Princess Sofia wore a new black skirt with white top from Mayla. She appears to have on her black Stinaa.J pumps and is carrying her Mix & Match bag. Today, Crown Princess Victoria gave an audience to the Speaker of the European Parliament, Antonio Tajani. For this audience, she wore a new black skirt with her H&M with Erdem blouse. She paired it with her Gianvito Rossi black booties and her feather Kreuger Jewelry feather earrings.